Whereupon our neighbor arrived home and we dragged the carcass off the driveway. 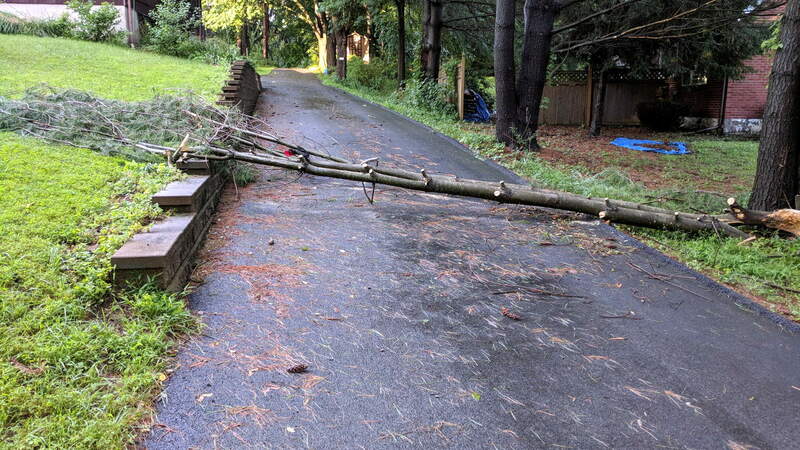 Fortunately, it missed everything important, as have several recent branch falls in our yard. 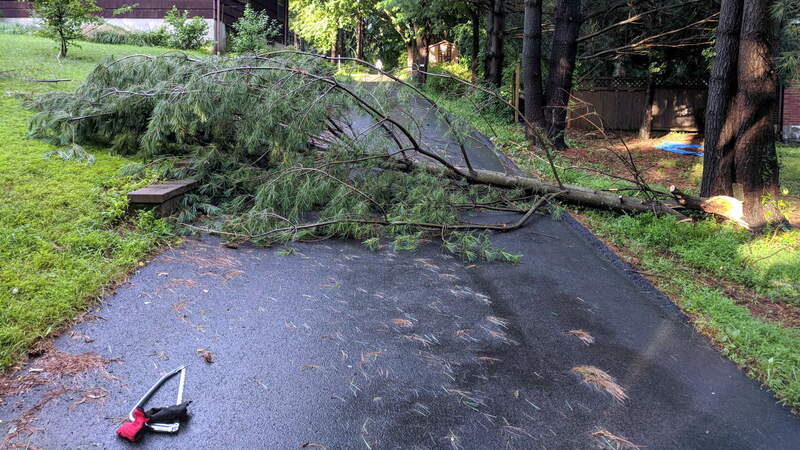 The same cannot be said for the many downed trees around the immediate area from recent storms; some folks are hurtin’ bad. Verily, houses (and trees) are trouble!